Learn the methods used to treat the three most preventable causes of death during combat in this four hour course. In the evolving environment of law enforcement, police officers are faced with an increasing number of threats every day. Early on in their careers, police officers are often trained in CPR/First Aid or occasionally may be trained as a First Responder or EMT. 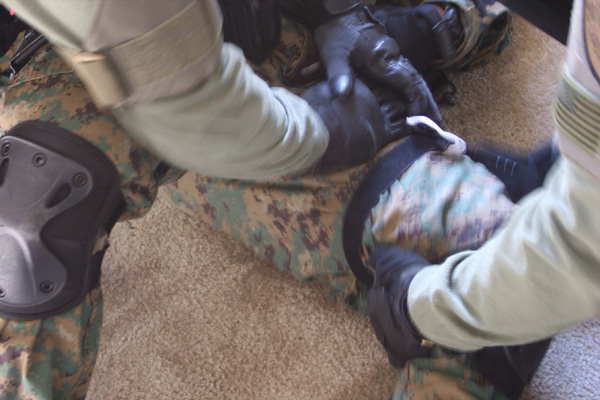 This medical training does not adequately prepare them to render self-aid or aid to a fellow officer who has been wounded while operating in a hostile environment. This four-hour course is designed to familiarize law enforcement officers in the methods used to treat the three most preventable causes of death in combat. Line of duty deaths caused by severe bleeding, open chest wounds and airway obstructions can be avoided with timely correct intervention. The first steps immediately after or during the hostile event prior to the arrival of Emergency Medical Services on scene are crucial in the stabilization of the critically wounded officer. Other topics include: patient assessment, application of tourniquets & hemostatic agents, patient extraction, triaging patients, and treatment & prevention of heat related illness. Officers will be introduced to new devices and techniques to provide first aid to themselves or fellow officers. "Thank you very much for taking time out of your busy schedule to train our unit in trauma care. The class that you provided was very beneficial to all our operators. Not only was the class informative, but the hands on training allowed everyone the opportunity to actually use the medical kits on their gear. Hopefully we will never have to treat one of our own with a gun shot would, however if we do we will be better prepared after participating in your course." "I am a Lieutenant with the Ellisville Police Department in Missouri . I am also the Commander of a Multi-Jurisdictional Tactical Team. Our Team recently received the "Officer Down: First Five Minutes" training from Life Safety Strategies. The course is spot on for all Officers in the Law Enforcement community. I will be signing up the rest of our department's Officers to take this course! Academies should provide this course to all new recruits. 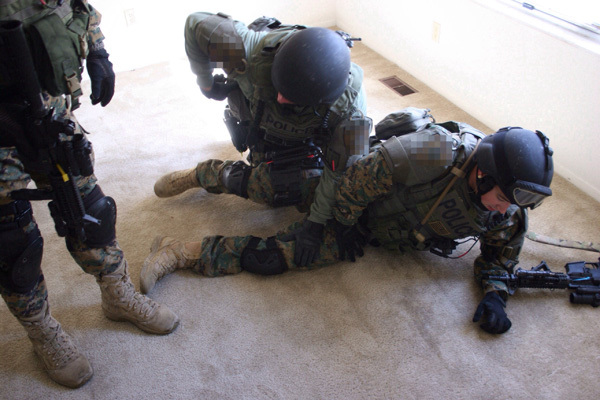 This training could definitely save Officers and Civilians lives."